Apple’s forward-looking nature makes it well prepared for any future. Over the many decades of its existence, Apple has faced a lot of challenges. There was the company’s battle against IBM early in the PC era, the seeming dominance of Windows during the 1990s, and even the worry that the company itself might cease to exist in the dark days of 1997. Lately, though, it seems as though the challenge for Apple might simply be that it’s ahead of its own game. 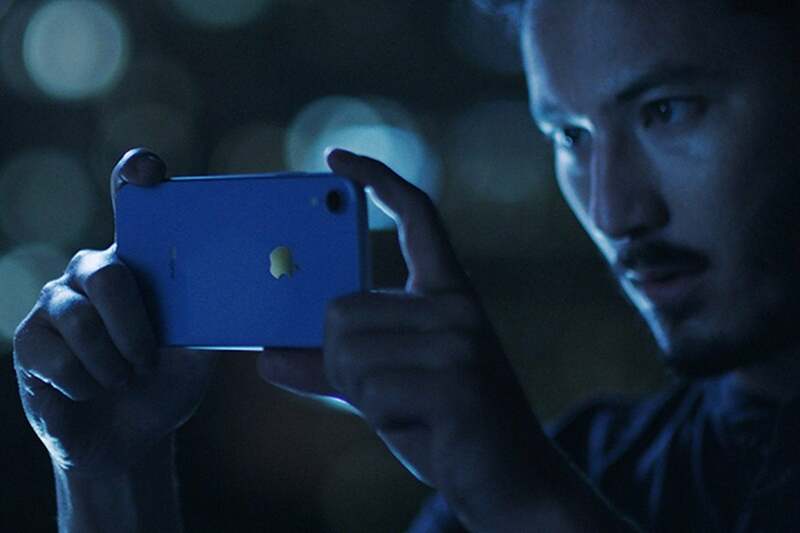 Rumors of slow iPhone XS and XR sales are hard to substantiate, with the company stepping back from providing information on how many smartphones it is selling. But it does seem clear that the amazing growth of previous years is leveling off somewhat, whether because the new phones are more expensive or haven’t wooed customers away from their current phones. The iPhone is, of course, a huge chunk of Apple’s business. In the most recent quarter, it accounted for 59 percent of the company’s revenue. Even if sales do start slowing or, eventually, declining, the company’s still going to be selling plenty of iPhones for years to come. But every product has a lifecycle—just ask the iPod—and Apple is all too aware of that. That’s just one reason that the company has worked hard to position itself for the future. Apple’s obviously talked a lot about its Services business in the last few years, and in 2016 stated an ambitious goal to double the revenue of that segment by 2020. That would mean an annual revenue of around $48 billion in 2020, which would likely make Services the company’s second largest division, after the 800-pound gorilla that is the iPhone. Apple recently announced that its Apple Music service will be available on the Amazon Echo. The strategy in Services is multi-pronged. Firstly, the company wants to continue its reliable business selling content and subscriptions to users of its devices. Secondly, it wants to build out new services to add revenue from existing customers and to entice new customers. And thirdly, Apple wants to grow its Services subscribers by adding more people to its ecosystem, either by convincing them to buy Apple devices or—as my colleague Jason Snell adroitly pointed out this week—by expanding its customers beyond just those who use Apple’s devices. 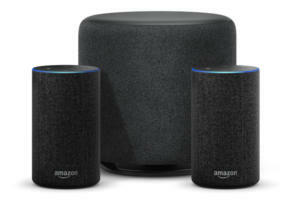 With a TV streaming service on the horizon and the addition of its music services to other platforms likes the Amazon Echo, reaching that $48 billion in revenue number seems like an easy shot for Apple. In 2018, halfway to its 2020 deadline, Services revenue was $37 billion, more than halfway to its goal. If anything, I think the company gave its usual conservative guidance, and plans to blow right past that. Futureproofing goes beyond just expanding Services to sell to people. Apple’s always been at its best when innovation has been its driving force and while Tim Cook has taken plenty of digs in comparison to his predecessor, he’s still managed to press forward for one of Apple’s biggest new initiatives: health. Apple recently updated watchOS with an ECG app for the Apple Watch Series 4. Health cuts across many of Apple’s existing segments, and its moves in the market haven’t exactly been stealthy. 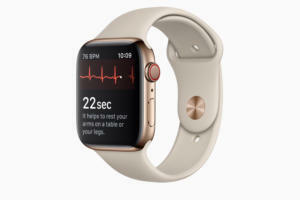 Just this week, the company updated its primary health wearable, the Apple Watch, with an electrocardiogram feature. That’s a capability never before deployed in a mass consumer device. Elsewhere, the company has been working on putting digital health records in the hands of its users, as well as making it easy for researchers to harness their technology to push the science forward. There have also been indications that Apple would like to incorporate health features into more of its devices. A recent patent filing suggests that it might consider adding health sensors, such as a feature for tracking temperature, to a future version of its AirPods. And the company has reportedly tried to figure out ways to measure other metrics, like blood pressure and blood sugar, whether via current or new devices. Make no mistake: health is a cornerstone of Apple’s future. If there’s a fundamental fact about technology it’s that it’s constantly advancing. Like any good company in this market, Apple’s always looking forward to see where the puck is going. But even that can’t account for the whims of consumers or the timing of technological breakthroughs. Apple has pushed very hard on augmented reality, for example, but who knows: It might just be trying to make fetch happen. The good news is that Apple is well positioned to either capitalize on whatever the next big thing is—it’s got a long history of not being the first mover in categories but ultimately perfecting them—or weathering any storm that comes its way. The Apple of tomorrow may not look very different from the Apple of today, but what the company is trying to insure is that it lives far beyond tomorrow, and we get a chance to see what the Apple of twenty, thirty, or forty years from now looks like.